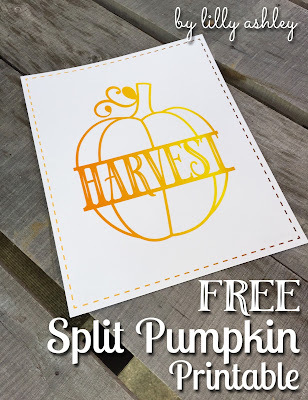 We promise to get back to the current season very soon (which is not pumpkin season yet) but to keep you ahead of the game, here's a freebie 8x10 Fall Printable to download and keep on hand! That way when pumpkin season actually arrives, you'll have this! 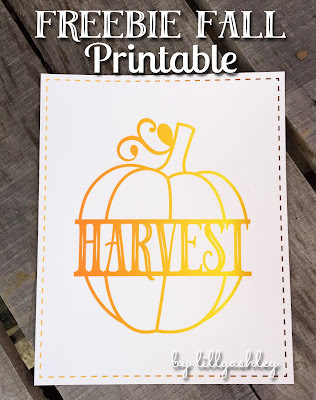 Click HERE to head to Thursday's post with free cutting files. I haven't framed this print yet since I'm not quite ready to put it on display. Hence the picture of the design printed but not yet framed. 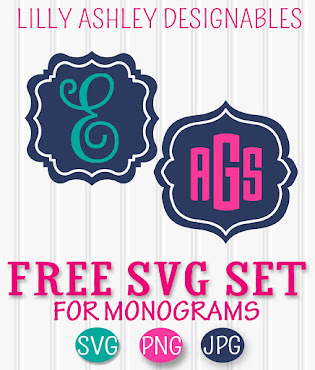 If you love freebie downloadables like these, follow us along on Pinterest! We've got tons more freebies to come, and we'll keep you updated via Pinterest when we add new ones! Also, if you're not familiar with our design shop, check that out as well! 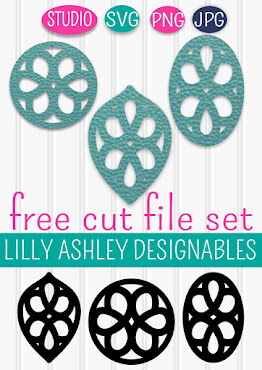 It features a big variety of small business approved designs and patterns in digital paper packs, frames, and cutting files (all available for instant download after confirmation of payment!). We love using ceramic tiles for decor! So in-expensive and there's so many different sizes and styles of tiles you can buy for around $1 at your local hardware store! Inexpensive projects are right up MY alley! 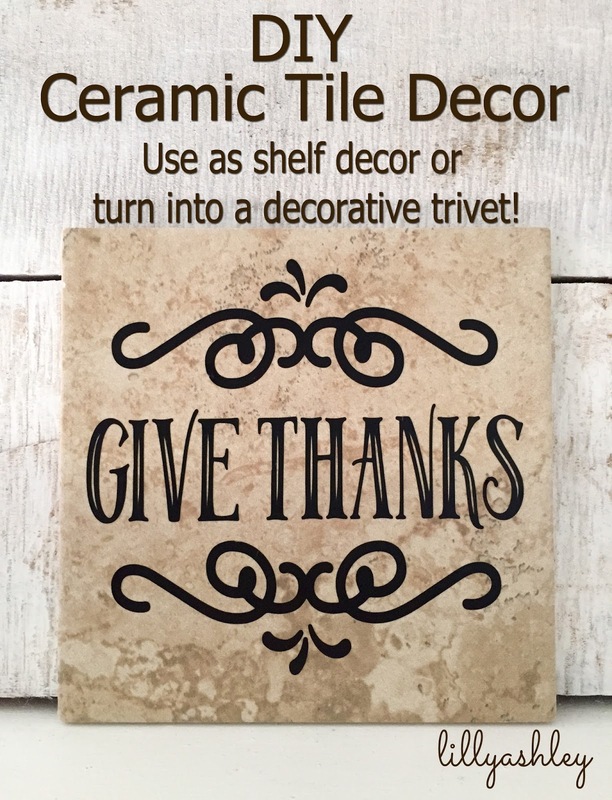 I use mine as shelf decor, but add some of those round felt feet to the corners of the bottom of the tile, and you've got yourself a decorative trivet for the kitchen! How cute would that be sitting on the Thanksgiving dinner table? 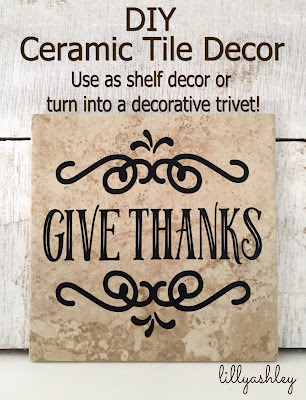 I may just have to turn my shelf decor into a trivet for Thanksgiving. Or create a second one since ceramic tiles are nice and cheap (when bought individually anyway, I doubt it's cheap when you're re-doing your entire floor)! Depending on the type of vinyl used, the trivet could definitely be used for a basket of rolls...something that isn't hot. 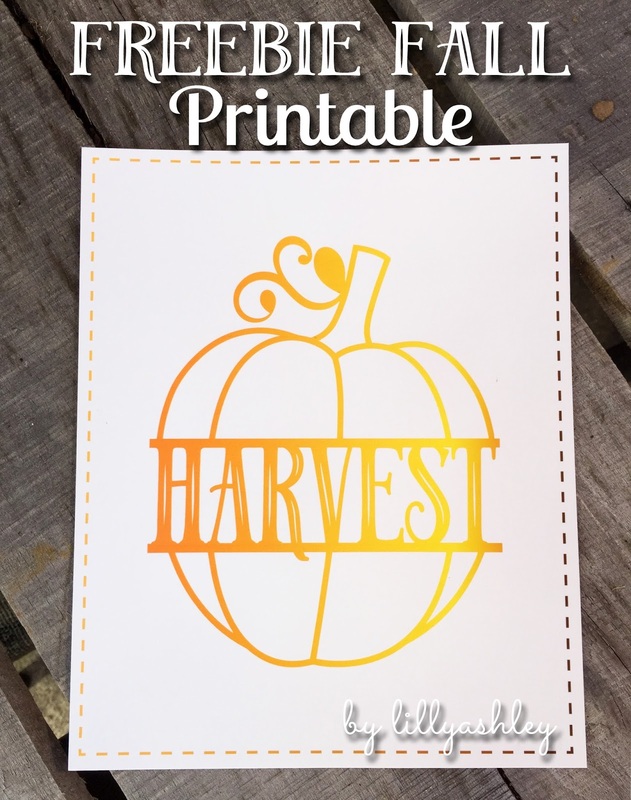 It's a quick project which is currently all I can accomplish right now as I am prepping to begin our homeschool year with a first grader and a kindergartener...not to mention a third little one that has recently learned to crawl. She's all over the place! That leaves me no time for lengthy difficult projects, so if you're looking for quick and inexpensive...this is a great one! 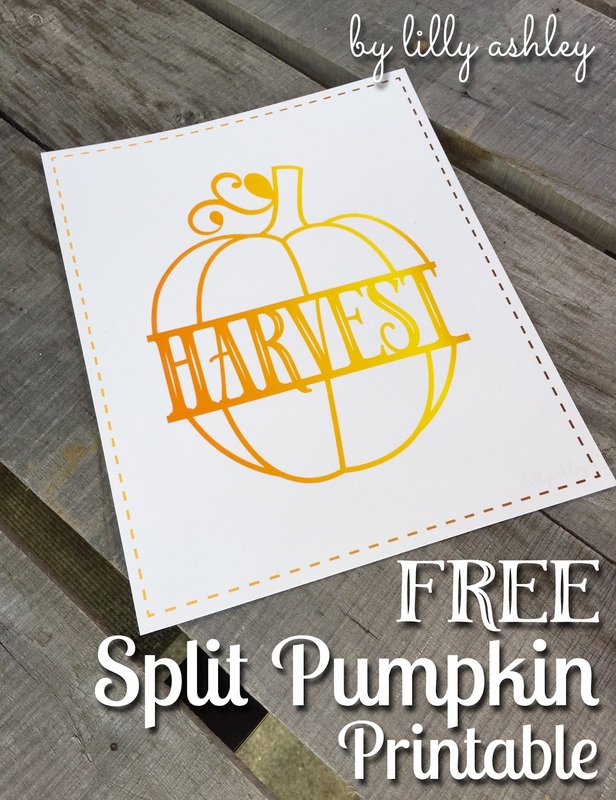 Be sure to check back through our recent posts and grab our freebie downloads from digital paper packs to printables to cutting files! See ya back here soon for more freebies! !